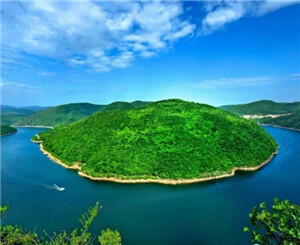 Located north of Danjiangkou Reservoir in Xichuan county, the "Small Three Gorges" stretch more than 20 kilometers. It originates from Ferry Beach in Madeng town and flows through Yunling, Taibai, and Yankou gorges before ending at Stone Bridge in Madeng. Against the backdrop of green mountains and clean water, it bolsters its image as the headstream of the middle line of the south-to-north water diversion project. 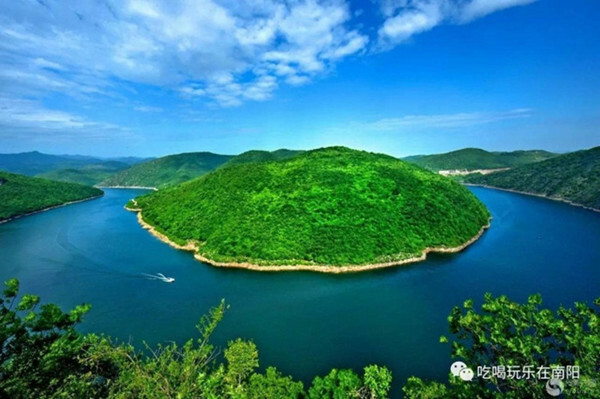 "Small Three Gorges" is anticipated to become an ecological tourism demonstration zone in the future, integrating the features of water source and canyon. The ticket price is 50 yuan ($7.4) per person.